Which mask works best on your face? I was fortunate enough to visit a lab to do a super fancy fit test, but very few of us have access to this $10,000 machine. So what should normal folks do? Put on the mask. Make sure the metal is bent tightly around your nose. 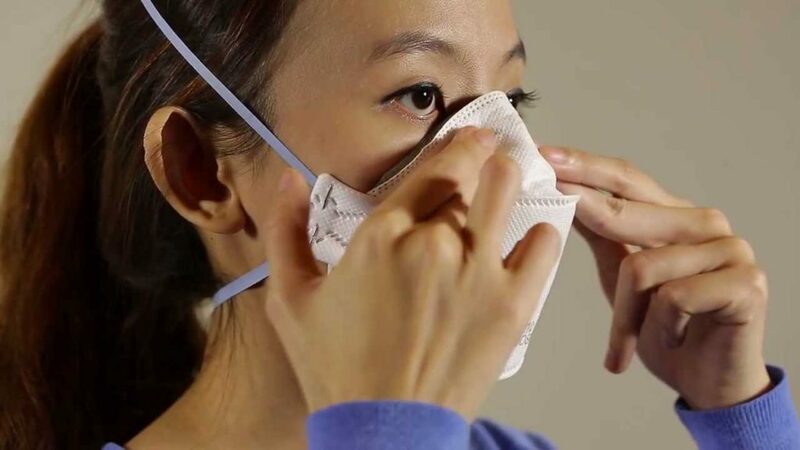 Lightly hold the mask in place and inhale sharply. While inhaling, pay attention to see if you feel a sensation of air or coolness around the edge of the mask. Pay particular attention to the area around the nose. If you feel air leaking, adjust the mask and try again. If further adjustment does not solve the problem, try a different mask. 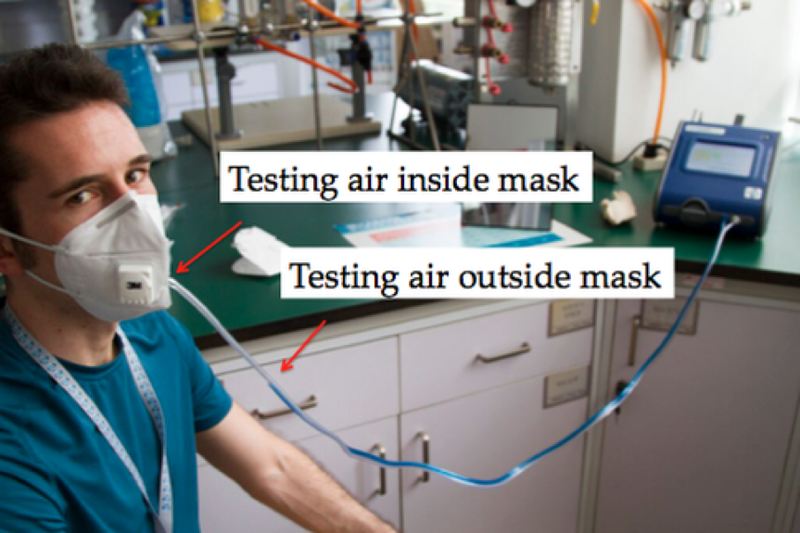 If your mask does not have an exhalation valve, you can also do the test while exhaling sharply.